HUBBARD A Mass of Christian Burial will be held on Wednesday September 5, 2018 at 11:00 AM at St. Patrick Roman Catholic Church with Rev. Michael Swierz officiating for Anna Pino “Annabelle” Chick, 92, who died Thursday morning August 30, 2018 at Vista Center at the Ridge surrounded by her entire loving family. She was born November 18, 1925 in Youngstown, a daughter of George and Marian Galante Pino and had lived in Hubbard for 58 years, coming from Youngstown. 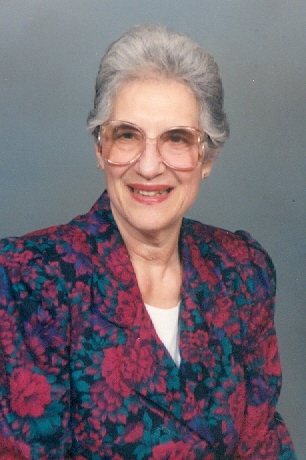 Mrs. Chick, a 1944 graduate of East High School, was a member of St. Patrick Roman Catholic Church. Annabelle was a production worker for Packard Electric for 17 years, retiring in 1982. She was a member of the State of Ohio D.A.V. Chapter 11. She loved cooking, puzzle books, playing Bingo and cards. Annabelle will always be remembered for her love of family. She leaves a daughter, Nancy and husband Jerald Mizen of Cape Coral, FL; two sons, Gary and wife Beede Chick and Dante and wife Cyndi Chick Sr. both of Hubbard; 5 grandchildren, Robyn and husband Matthew Boldt, Gunther Mizen, Andrew and Alex Chick, Dante and wife Kate Chick Jr. and 3 great grandchildren, Kellan, Ariana and Zoey. Annabelle was preceded in death by her parents; her husband Mario; three brothers, Anthony “Nino” Pino, George Pino and Raymond Pino and a sister, Marina DeSalvo. Family and friends may call on Tuesday September 4, 2018 from 6:00 PM to 8:00 PM at the Kelley-Robb-Cummins Funeral Home and also on Wednesday September 5, 2018 from 10:00 AM to 10:45 AM at St. Patrick Roman Catholic Church.